Volkswagen Group has introduced a two-year warranty on vehicles that undergo the emissions update - and it applies to owners who have already had the work carried out. Volkswagen Group - which is comprised of Volkswagen, Audi, SEAT and Skoda - has put into place a a 24-month warranty for customers who have the emission update carried out. News of the two-year warranty - called the 'Trust Building Measure' - will be of interest to owners who have found that their car has been negatively affected by the technical fix. The warranty applies if a customer makes a complaint to an authorised repairer or to the Volkswagen Group and the issue is found to have resulted from the emissions fix. The warranty was announced in June 2017 and extends to owners whose vehicles have already received the emissions recall. It will cover the car from the date the work was carried out - provided that all other requirements for the 'Trust Building Measure' are met. It covers vehicles for repairs to 11 components within the exhaust gas recirculation, fuel injection and emissions after treatment systems, within 24-months from the date of the emissions update. However, it only applies to vehicles with a mileage of under 160,000. The Volkswagen emissions scandal began in September 2015 and affected a total of 1.2 million vehicles in the UK. Volkswagen Group has maintained that the technical measures have no adverse impact on the performance of the vehicles or the durability of the engine and its components. It says that the Trust Building Measure instead serves to strengthen customer confidence and encourage more customers to have their vehicles updated. In March 2017, Volkswagen engineers explained to us that out of 480,000 vehicles that had the fix applied, there had only been 3600 complaints. Of these 3600, 60 per cent were noise related and 35 per cent were complaints about poorer fuel economy and EGR problems. However, here at Honest John, we've received multiple complaints of power loss, broken EGRs, broken injectors, worsening fuel economy and increased noise from customers since the having the emissions fix. No compensation has been awarded to any Volkswagen UK customer, with Volkswagen saying there is 'no legal basis' for payment. I thought that this specifically not a warranty. It is entirely eat VAG's discretion and has no legal standing. Please correct me if I'm wrong. Also, can somebody please explain why VAG are fixing some vehicles under the terms of this trust building measure, but VAG say they only fix things damaged by the NOx reduction measures. It doesn't make sense. First I'd heard of the 2 year warranty! My 2011 Leon 51000 miles (emissions fix July 2017) and not services by SEAT for 3 years, went into Limp mode at 70mph last February. As I was going on holiday it was taken to a Non VW Group local garage and whilst diagnostics showed 'misfire error on 3 cylinder' system was reset and fault wasn't replicated. I had no trouble until 3 weeks ago when it went into limp mode at 20mph just after setting off in the morning. Same flashing glow plug warning light. I limped along to the local SEAT dealers. Car was fixed at no charge and was told a faulty injector fixed. No paperwork received to show work done but a Goody bag was left in the car. I have written twice to VW asking for a full refund of the cost of replacing the EGR Cooler on my VW Golf, on 4/7/17, having had the EA 189 NOx emissions service action dealt with by an authorised dealer in February 2017 as VW requested, but I still await even an acknowledgement of my first letter or my 2nd letter which was sent recorded delivery to Alison Jones Director of VW at Milton Keynes. I did get a letter dated July 2017 from Alison Jones saying, and I quote " VW confirms that if a customer makes a complaint to an Authorised dealer or to the VW Group in respect of a failure of the EGR after treatment within 24 months... VW would consider the complaint very carefully and if such complaint was established to have arisen as a result of the implementation of the technical measures, then VW will act responsibly and swiftly..."
I assume that VW is inundated with complaints so I will give them another 14 days before I consider using the Small Claims Court Procedure to get my £763 back. Have any of your readers had to resort to the Small Claims Court to provoke some positive response from VW regarding this matter? Small Claims is what we recommend if the cost of replacement is not forthcoming. This 'Trust Building Offer' came after the implementation of most of the fixes so should be retrospective. We have been suggesting that VAG funded the replacement costs of EGR valves on 1.6TDI for many years, long before the NOx emissions scandal broke. There have been an excessively high level of failures of this component on EA189 1.6TDIs. I own a soda octavia vrs that had the fix done I'm now on to my second EGR cooler in two years. Skoda have said that this part is covered as part of the new warranty and obviously know that their fix is causing these parts to fail. When you try to have them fix the problems they have caused they hide behind the fact you don't have a full skoda service history every 10000 miles. I have had a service every year at other garages but apparantly not good enough. I had my fix in Jan 2017 and EGR failed today -- I need to take this to the garage straightaway; can I raise it with the Dealers about this straightaway or I have to pay for the repair and try and get a refund? Had my egr fail on 170bhp Tiguan last week, VW have confirmed this and are replacing free of charge. had the car serviced in June and VW applied the fix at the same time, I didn't ask for it to happen and would like the car ecu returned to the old settings. What's the chance of this happening. I had emissions fix done in August 2017 for my VW Passat 2.0 TDI Bluemotion (2011 Reg) and last week had Emissions Management System warning light come up. Took to dealer today and received EGR valve replacement free of charge as part of the two year warranty. I always had my car serviced at dealership.I am not sure if this is considered while applying the warranty. I would recommend not to drive the car for long distance once the warning light comes up as the power can drop significantly. Hopefully this is the only problem. My Seat Ibiza went in for a safety recall for an unrelated item, they checked the fault on the engine mgt light and told me it was a potentiometer issue and would replace FOC, when it went in for this they subsequently told me they were changing the EGR FOC. Car has done 90k miles. So all done for free but what alarms me is they are not actually going out of their way to let people know about it. Secondly they failed to mention the 2 year warranty on any of these repairs, which if the software mod is still the same will surely repeat themselves in time? So do I sell the car now or run it and almost hope it fails again within the 2 year warranty? I was about to purchase a 2012 Skoda Yeti 2.0 tdi 140ps 4x4 from a Skoda Dealership, where it was first supplied to it's one owner and has FSH from that dealer. I have checked out the car and found it had the FIX done on recall. The car has done 69,000 miles. I must say that after reading all your comments and problems, I think I will stick with my 2005 Toyota D4-D T3, which has never let me down and has a simple and exceedingly fuel efficient engine, as well as some poke! No complicated onboard computer, no DPF to clog up and runs as clean as a whistle, it even has leather seats! Thank you to all contributors on here, you have convinced me to avoid the potential hassles of purchasing a VAG Fix car! My Altea XL 1.6tdi ecomotive was "fixed" last January and broke down within a week at 80mph in the outside lane of the Motorway!! it rebooted itself after 5 mins on hard shoulder but went into limp mode again 7 times more on the trip home, EGR valve had failed !! I paid for my local garage to fix but then 3 months later it juddered to a stop after another fast run, no4 injector had failed this time, again fixed locally as I am over 40 miles from a dealer.I then got a letter from SEAT UK telling me to contact them if I was experiencing trouble after the NOX fix, they refunded £900 of the £1400 I had spent and issued the 2 year cover statement. My MPG is awful very rarely reaching 43 mpg, it frequently hestates when driving. It broke down again 2 weeks ago so limped to my garage again with a faulty fuel pressure sensor, more money. A week later it broke down again , no regen light on yet the ECU stated active regen completed. It then began to rev rapidy to the red line when driving !!! This weekend it has broken down again 80 miles from home, managed in limp mode to get home slowly then stopped to refuel, restarted the car and full power again. The car was now saying that I had fuel pressure high input and keeps going into limp mode. I had had enough so wrote to SEAT Uk and they phoned me back immediately to collect the car and took it to a dealer, that was Monday, still no car Thursday and the promised hire car for day one never materialised so I cancelled the replacement car after they wanted my credit card number first !!! They have destroyed a perfectly good car!! Hi, is there a list of what is covered under the warranty? I have an audi A1 and have had the NOX fix I now have the glow plug and the engine management warning lights on. Diagnostics have shown it is exhaust temperature sensor 3 error...just wondering if this will be covered, Audi not being very helpful and I can’t find a full list of what is covered anywhere! Hoping someone can help, thank you! Hello, I have a VW Golf and have had the NOX fix on my car. A year after the repair work I had issues with the engine. This was repaired by VW as it was in 2 years from the original fix date. A year later and just outside the original 2 year date I have engine management issues again. VW have refused to repair as it is outside the 2 year date of the original fix. I disputed the fact that since the last repair on my car it is inside 2 years. Complained by email and got nowhere and then made a written complaint. Which was dealt with the person that replied to me on email. Does anybody know where I can go next? As when I asked for details for the regulator for cars VW gave me the details for the German one! Ive a 2012 VW Beetle 2.0tdi which has covered 69000 miles. Just due a service which has been booked in to a mate who is an independent VW Specialist for end of month. Its little overdue by time not distance (I usually do the miles way before the time is up but had leg injury last year so didnt drive for 7 months) apart from this its never missed or wanted for anything. EGR fault and found out about the two year warranty....... mine was done on 10/1/17 so just a few weeks out of the warranty period. Waiting to hear back off local VW dealership to see if VW will possibly honour it, so fingers crossed. If not im looking at £680+ bill and have been told only use OEM/Wahler part as some of the aftermarket EGRs are useless and its not a quick job to replace so not worth saving a few quid. VW Beetle 2.0 TDi the "fix" was done on 27/10/2016 by previous owner. ERG failure 22/02/2019. The car has only done 28,600 miles total. VW say that they will not consider a contribution towards cost. While I understand that there should be a cut off point for claims surely a mileage based one would be more inkeeping. I have emailed them stating that I consider the car not fit for purpose and await their response. VW Golf 2.0 TDi software update done in October 2016 by previous owner, EGR valve failure Feb 2019. 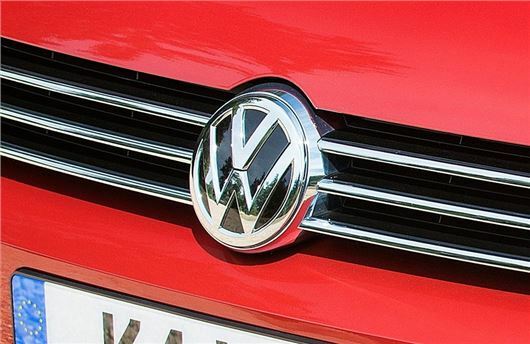 VW have said they will not contribute towards the replacement costs. I want to take my complaint further but feel that VW will just argue that its outside the 2 year warranty period and that's that. However, there seems to be many people experiencing the same issues following on from the emissions "fix". I am wondering if the car I have bought is reliable or will just keep having issues like others have experienced. This is my 3rd golf and it will be my last. I have completely lost trust in the VAG brand. I've got a 63 plate 47,000 mms Skoda Roomster Scout 1.6 TDI diesel bought at nearly 28,000mls from Birmingham Skoda dealer who supplied original owner and serviced car before sale to me with updated software and injectors etc. Initially the car returned poor consumption approx 37mpg if driven gently but improved to 54mpg if driven normally and spun up through the gears to 2500 or so revs. Average trip 20miles each way with periodic 100-200 mile runs. After it's last service in November 2018 (1/2 price service bought at time) my Roomster started giving flashing 'coil' engine management light after easing off throttle having been cruising for a few minutes - usually when slowing off A-roads to negotiate roundabouts or turn onto a B-road. Over past few months (it's now end of March) this has become a regular feature of every journey. Risky if car goes into limp home mode when pulling onto A roads or motorways. Last week I got an engine light as well as 'coil' and limped home to the local independent garage that services my daughter's 64 plate petrol VW Polo with similar engine management lights relating to emissions (within a fortnight of purchase from a dealer approx 30,000 miles with FSH last year - still not sorted). Garage says my 1.6 TDI Roomster probably needs a new EGR valve which could be major work and renders car next to worthless. (Other daughter has a 65 plate Seat petrol bought at 18,000mls approx but no problems yet!) Anybody know why VAG cars have so many serious problems with their emissions and engine management? Can anyone tell me whether my 47,000mls Skoda Roomster 1.4 is covered by the VW two-year warranty on emissions recall work or how to approach dealer?